MANCHESTER, England — Pope Francis has given a Belgian religious order until the end of August to stop offering euthanasia to psychiatric patients. Brother Rene Stockman, superior general of the order, told Catholic News Service the pope gave his personal approval to a Vatican demand that the Brothers of Charity, which runs 15 centers for psychiatric patients across Belgium, must reverse its policy by the end of August. The group, he added, must no longer consider euthanasia as a solution to human suffering under any circumstances. The order, issued at the beginning of August, follows repeated requests for the group to drop its new policy of permitting doctors to perform the euthanasia of “nonterminal” mentally ill patients on its premises. It also follows a joint investigation by the Vatican’s congregations for the Doctrine of the Faith and for Institutes of Consecrated Life and Societies of Apostolic Life. Brother Stockman, who had opposed the group’s euthanasia policy, told Catholic News Service the ultimatum was devised by the two congregations and has the support of the pope. “The Holy Father was formally informed about it and was also informed about the steps to be taken,” he said in an Aug. 8 email. The Belgian bishops and the nuncio to Belgium have been informed about the ultimatum, he added. Brother Stockman, a psychiatric care specialist, had turned to the Vatican in the spring after the Brothers of Charity group rejected a formal request from him to reverse the new policy. The group also snubbed the Belgian bishops by formally implementing its euthanasia policy in June, just weeks after the bishops declared they would not accept euthanasia in Catholic institutions. The group has also ignored a statement of church teaching forbidding euthanasia. The statement, written and signed by Cardinal Gerhard Muller, former head of the doctrinal congregation, was sent to the Brothers of Charity Group members. A copy of the document has been obtained Catholic News Service. The Brothers of Charity was founded in 1807 in Ghent, Belgium, by Father Peter Joseph Triest, whose cause for beatification was opened in 2001. Their charism is to serve the elderly and the mentally ill.
Today, the group is considered the most important provider of mental health care services in the Flanders region of Belgium, where they serve 5,000 patients a year. 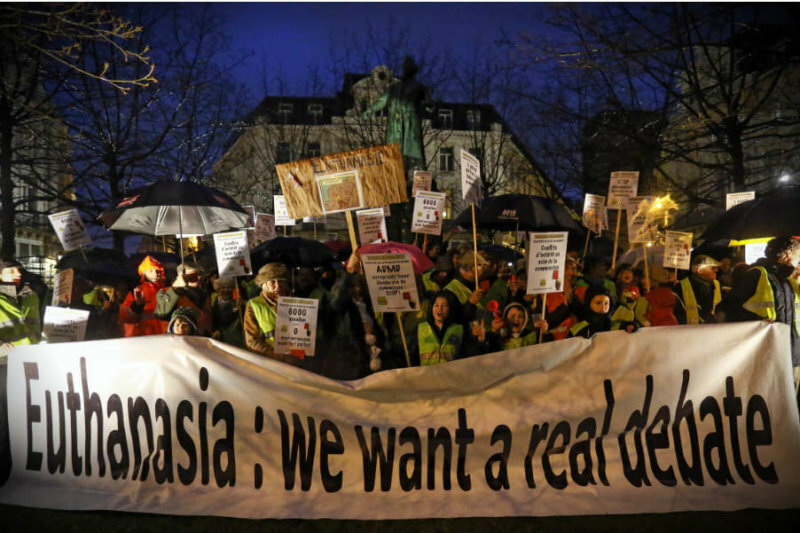 The group first announced its euthanasia policy in March, saying it wished to harmonize the practices of the centers with the Belgian law on euthanasia passed in 2003, the year after the Netherlands became the first country to permit the practice since Nazi Germany. Technically, euthanasia in Belgium remains an offense, with the law protecting doctors from prosecution only if they abide by specific criteria, but increasingly lethal injections are given to the disabled and mentally ill. Since 2014 “emancipated children” have also qualified for euthanasia.